By Tali Krakowsky . Published on April 15, 2010.
faltjahr 2010 from yohann on Vimeo. I bring up pop-up books because of my life long obsession with them and because while new technologies (e.g. iPhone, Kindle, iPad) are rediscovering the notion of what books could be, it seems important to remember what we loved about the tactile qualities of this physical experience. 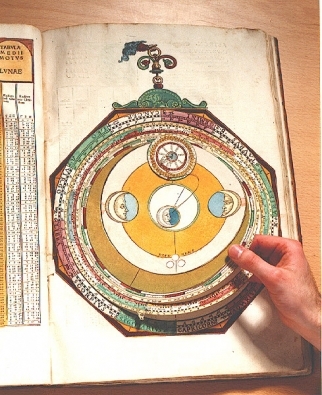 If we think of the graphics as 'content' and the structural qualities of the book as 'interface', it might be interesting to explore how we can reinvent those in a digital age. Lisa Hannigans music video Lille is a fabulous reminder of the beauty and amazing storytelling abilities of the classic pop-up book. 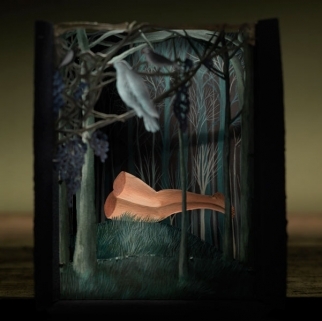 A contemporary interpretation of the pop-up book is Gabe Askew's Grizzly Bear fan video. Equipped with media-infused pop-up spaces, moving puppets and robotics, it reminds us that there is an exciting opportunity for pop-up books to be intelligent and interactive in the digital sense. So everyone is talking about how the iPad will or will not change the way we live, work and play. The work done by software design company Atomic Antelope for the Alice In Wonderland iPad app begins to suggest an exciting possibilities for how books can become more tactile and interactive. So is Adobe XDs recent collaboration with WIRED Magazine. Their new WIRED iPad app can revolutionize the magazine reading experience. Treat yourself to watching the short film about this remarkable project. But our laptops and our iPhones and our iPads and our televisions and our billboards and our film screens are all still two-dimensional and rectangular. If what intrigues us about the pop-up is how it pops, how dimensional it is, how it invites discovery and how it can be explored in 360 degrees, then it might be worthwhile for us to think how we can create experiences that blend the digital and the physical to become architectural. I'd like to find a way to make the pop-up book pop again .